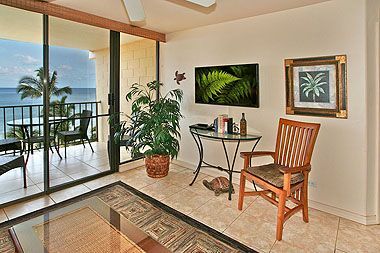 With its superior location at one of the top-rated resorts in Southernmost Kihei, just a block from Wailea, this 2-bedroom, 2-bath luxury condo sleeps six and features high-end bedding, Tommy Bahama furnishings, a grotto-styled, waterfall pool with a sandy-bottom entrance, oversized spa, and lush surroundings. 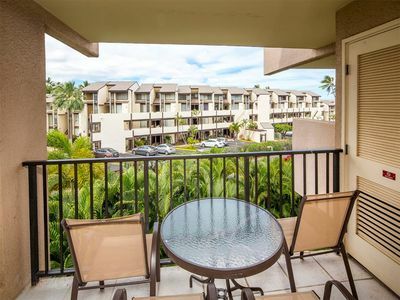 This unit is located on the second floor in Building M (near the tennis courts) at Maui Kamaole. 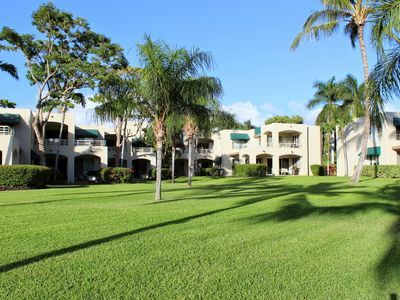 Stay in consummate style and comfort in a beautifullly updated condo that has earned superior reviews for its location, condition, and amenities. 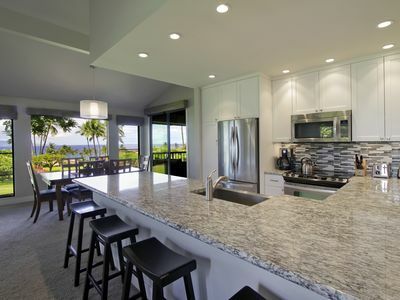 High-end bedding, luxury linens, and a kitchen designed and equipped to cook and serve for six guests combine to form your perfect home base for your ultimate Maui vacation. 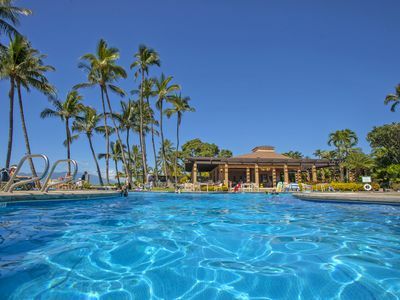 Convenient to every Kihei attraction -- including some of the best snorkeling on the island less than two blocks away -- Maui Kamaole is Kihei's low-rise, low-density resort, and is known for its lush setting, quiet hillside location across the street from the ocean, and full amenities. 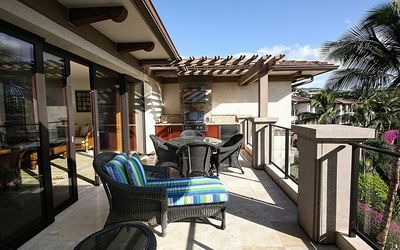 With no one above you and no common walls, and two private lanais overlooking the resort's stunning tropical landscaping, , it was selected by its ownes for its tranquil location and lush surroundings. 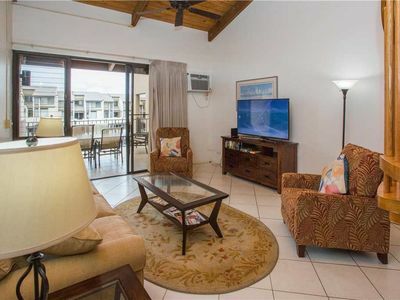 Inside, the living room showcases upscale, hardwood furnishings, selected for their comfort and style -- a true cut above most vacation condo furnishings. 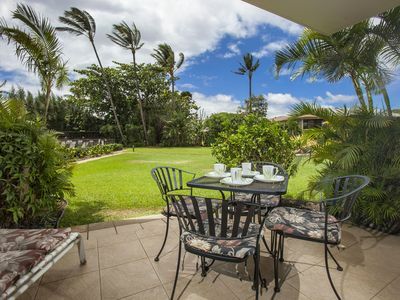 The living room opens to a protected lanai area, ideal for morning coffee or evening beverage. Chilly AC services the living room and both bedrooms, assuring comfort for all. A massive Smart TV with Surround Sound is ideal for movie night. 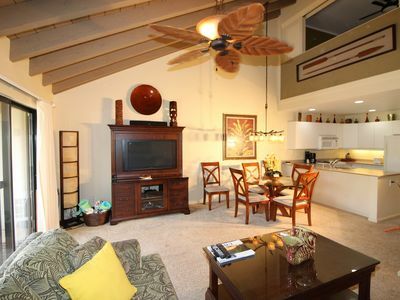 Every consideration awaits, including high-speed wireless internet and upgraded cable. Tasteful original local art enhances the tropical vibe. The fully equipped kitchen is outfitted for cooking and prepping for the gas grill, close by and convenient. 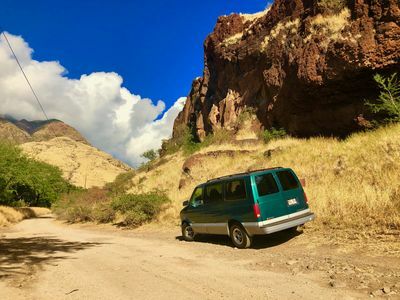 It features every convenience and small appliance, including blender, coffee maker, toaster, microwave, and a full range of culinary support. Both bedrooms are en-suite: one is downstairs, one up, creating excellent privacy. The sleeper sofa is a high-end comfort-plus model. Both bedrooms and the sleeper sofa are well covered by AC. There are TV's, cable, and internet in both bedrooms. Our guests love our luxury bedding and linens. 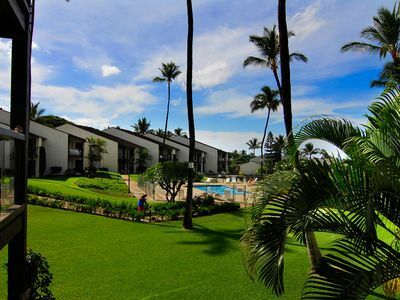 Maui Kamaole is ideally located just two blocks from Wailea, ideal for resort weddings and other special occasions. 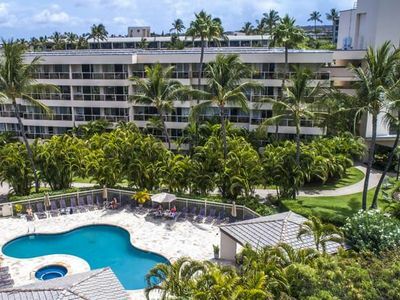 Nearby beaches (just across the street) offer warm-water swimming in and around pristine reef with incredible visibility, teeming with colorful tropical fish. 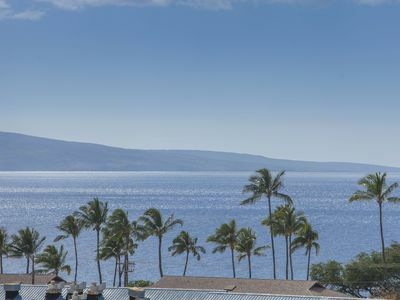 You're in close proximity to the center of Kihei's sun-drenched beach culture, and can easily partake of every activity: learn to surf, kayak in the gentle surf and explore the reef, standup paddleboard, snorkel, and dive. Across the street, by Kam III, the turtles are known to congregate regularly for their Algae Salad main course! 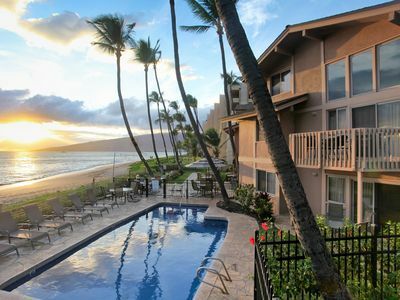 A dozen restaurants are within walking distance, and Kihei's shopping and dining spans every taste from luxury to local. 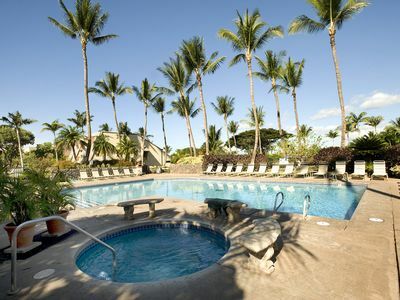 The resort has two pools on site, tennis courts, a fitness center, and Spa. 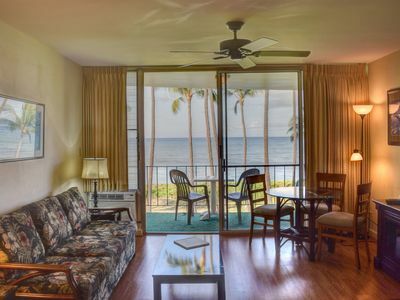 This condo truly is one of the most beautiful units at one of the top rated resorts on Maui. 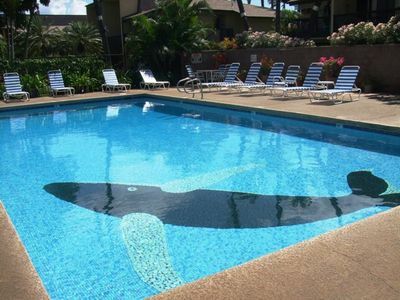 2BR Deluxe Condo w/ partial ocean views in Maui, pools, BBQ area, kitchen. 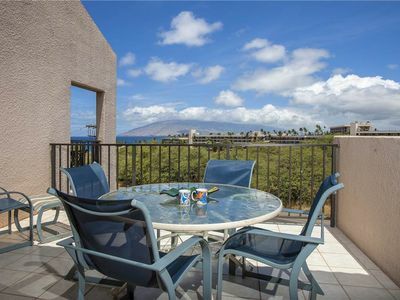 Ekahi 34F - Best Panoramic Ocean View!! 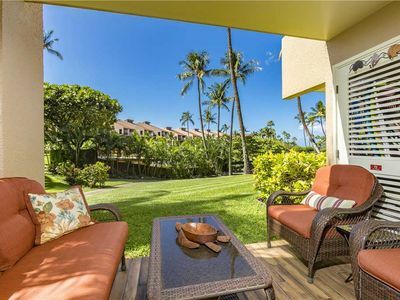 Kihei Alii Kai #D-406 2Bd Full Ocean View, in the Heart of Kihei, Spacious! 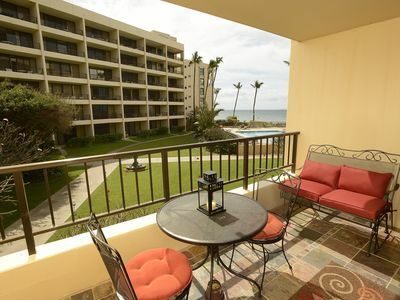 #240 Second floor condo, easy access to best beach on Maui! 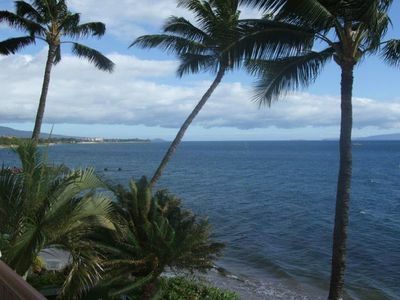 Kihei Sands Beachfront Condo A8 on Maui's Beautiful Sugar Beach!